Women's friendships are so tricky! For as long as women have communicated with one another, we have been both challenged and cherished in our friendships. The new dimension brought to relationships by technology that allows us to unfriend one another with a tap of thumb only intensifies the potential for friendship to change women's lives. The Take Up & Read writers recently considered what the Lord has to say about friendships, and we reflected on the friends with whom we've been blessed. We considered the ways we've been wounded by and the ways we've rejoiced with other women. And we've been very frank about how awkward our relationships with other women can be. As we pondered the Word, two things became clear: we want healthy friendships with other women and we want to be excellent friends ourselves. In this 28-day devotional journal, we explore the ways that friends can bless one another and we challenge ourselves to be better friends. 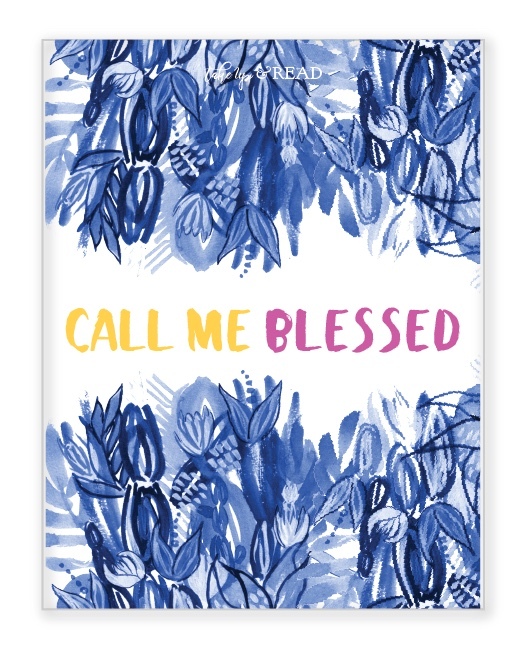 Beautifully designed pages offer Scripture and reflections five days a week, plenty of journaling space to explore your own thoughts and inspirations, challenges that make you think and spur you to action. For the weekends, we have pages of gorgeous calligraphy for you to make your own. Plus, pages upon pages for you to keep track of the prayers you pray and the way God answers. We're so excited about putting this book in your hands! We hope you'll take it to heart and spend hours of beautiful time with God deepening your understanding of and your capacity for friendships with other women. Please consider reading along with us, day by day, beginning on July 29. We think that this study of true friends will be greatly enhanced by online conversations and sharing with other women. We look forward to hearing your voice! Maybe gather a local friend or two to study with you? We'll have a free group guide available for you shortly. We can't wait to get started celebrating good friends and new making friendships stronger and happier.